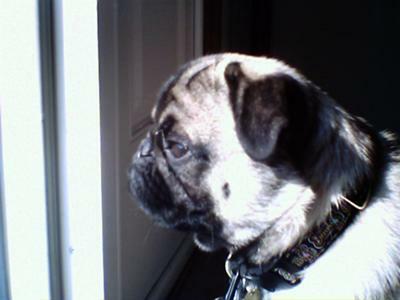 My pug had calcium oxylate stones 2 years ago (he was 1 year old at the time!) They were surgically removed and he was placed on Hills U/D. I can honestly say that in my life I have never seen a dog defecate so much. I have seen a lot of reviews stating that this brand is a low grade food, and reading the ingredients, I can't say I know what many of them are! I would love to put him on a good quality food that I do not have to purchase from the vet. Wellness came up in my search. Would this brand or any other brand have a line that I can feed my dog? Reading these comments has helped/worried me!! We have a miniature Yorkie; he has had type two stones; been poorly really from day one; to cut a long story short he's had the operation last year but still not been right! I have a wire fox terrier that had surgery to remove bladder stones when he was 3 years old. We also used Hills U/D for a while along with potassium citrate to control his PH. The Hills food is so bad, it is like giving the dog corn and cardboard. I found a holistic vet on line and started making my own food along with a vitamin/mineral mix to add to it. Check out "Real Food for Healthy Dogs & Cats" by Dr Karen Becker. It seems complicated at first, but once you get into a routine, it is no issue, and my dog has been stone free for 4 years now. Also, he has the spark and shine back in his eyes, that I swear were dulled when he was on the Hills food. My Bichon has had two bladder stones removed a year ago. The vet put him on Urinary S/O, similar to Hills. After 6 months he began throwing up after he ate every meal. It was awful. The food is crap!!! I did some research and all said not to be used long term. I took him off the food and feed him chicken, green beans, eggs and cottage cheese until I could find a food. His throwing up instantly stopped. I am now using an organic made in USA food called Fromm's. It's not low in protein but it's healthy and he loves it and we haven't had a problem this far. No throwing up, poops are normal and so far no stones. I told my vet what I did recently and she chewed my ear off at how I was doing a bad thing. I told her the research I found and all she could do was reiterate what the Urinary and Hills companies said about the product. I told the vet that drug companies stand behind their products as well but it doesn't mean they are good for you. These foods are awful. The Urinary foods are not a life long food only maintenance after surgery. So fed up with vets. Our Dalmatian (approx 58 lbs) had his first surgery at 4 yrs to remove bladder stones, then another surgery 6 months later (in that time he developed 10 stones). We switched to the U/D, mixed with "The Honest Kitchen's Embark" (a dehydrated dog food that allows us to easily mix 1.5 cups of water into his food, twice a day; they need to drink a lot of water to help prevent stones/crystals). We also started the Allopurinol (1 300 mg pill, twice a day), AND 1/2 tsp of sodium bicarbonate (baking soda) once a day (to balance the pH level in his urine). He's been stone-free for 1.5 years, no crystals ever present, and he's in great shape. Most of all, he's playful and happy. I too have a dog that has had 3 issues with stones. I have just found Purina NF canine formula and Royal Canin Urinary SO. I think both are non script. I am going to check them out. I have a 5 year old Yorkie who just had surgery 6 months ago for a huge calcium oxalate stone. The only follow up was the insistance upon feeding Gizzy, Hill's Science Diet U/D food. I am at my wits end with the cycle of starving him in order to force feed him this food. Also, I cannot find anything but negative comments about it on the Internet. I wish I could find one positive result. Not one so far. He is now experiencing problems urinating again and very sick (stomach wise) I have tried samples of the Taste of the Wild (all flavors) and he will not eat these at all. Out of desperation, it looks like I will have to prepare home cooked homeopathic meals for my dog if he is to survive. Why do we not have more information on this subject and more options. My vet did not recommend any type of follow up monitoring as I see recommended (Specific Gravity and PH can be monitored at home). Addition of Potassium Citrate, salt and yes...even calcium. Looks like I am going to have to become a college researcher in my spare time. Help anyone?????? I'm having the same problems in trying to find an alternative food to Hills UD but I cant find one with a low protein, needs to be 10%. Taste of the wWild is 32%!!!! You might as well put a gun to your dog's head and pull the trigger than feed them Hills UD. Is there any low protein foods out there apart from Hills? Apart from the quality of it, it's the price. His current food is £11 for 15kg 19% where Hills is £33 for 5kg. I'm at a loss, I cant afford that but i don't want my dog to suffer. Ah yes, same issue here but I have told my vet three times I will not buy the Hill's rx U/D. I am searching now for a food for my Shih Tzu who will be having two stones removed surgically in a couple weeks. He has to have a grain free food. He has done ok allergy-wise on Instinct. But with the stones I now am looking to find something ok for that issue also. Wellness Core, Evo, Taste of the Wild? I have an English bulldog that has had this surgery three times now for stones. He's been on UD and also takes Allopurinal to control them but nothing works. I'm scared to even attempt to feed him anything else. The UD makes his skin allergies go crazy. What I do know is that the UD food is supposed to control the ph levels of the urine. At certain levels they are prone to forming crystals. Also UD has no protein so if you do choose to feed something else don't pick one high in protein. I have an English Mastiff who has just turned 9 years old. He had the stones as well, had major surgery, and was put on Hills U/D. I am looking for an alternative, not only because it has been 7 years of BIG TIME $$, but because my dog (Killian) has a horrible smell to him as well as the food itself has started to smell like feces. I am going to look up the wild food you had mentioned. My dog has had the same surgery and I was told he needed the Hills UD as well. In my opinion the Hills has no nutritional value what so ever, I fully understood ingredients, which is basically crap... I am opting to go with a brand called Taste of the Wild, knowing what I do about human nutrition and processed crap, this looks like a much better food. Hope this helps, good luck with you dog and do some research for yourself!